Please read Chapter 7: Feminine Face of God, in your book Inner Christianity. 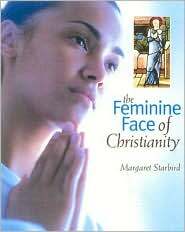 Then look at some of the beautiful pages inside the book Feminine Face of Christianity by Margaret Starbird (click on "See Inside this Book"). Copy and paste the following questions to a new e-mail, answer them, then send to the Mystery School with the following subject line: InnerChris 7 from _____________ (your name). 1. T/F No examples of the divine feminine are present in Christianity. 2. What are the two chief figures of the female divine in Christianity? 3. Does the Deity have a gender? 4. What does "Sophia" mean? 5. What does it mean to "set a compass on the face of the depth"? 6. T/F Sophia and Christ are essentially the same principle. 7. As an ___________ _________ of __________ ______________, the Gnostic myth of Sophia is quite ___________. 8. What part of the human personality does Ialdabaoth represent? 9. What type of matter does the Virgin symbolize? 10. What does virginity mean in the cognitive sense? 11. Why is prima materia portrayed as dark or black? 12. T/F There is little evidence of any devotion to Mary in the church's first centuries. 13. Many features of what two goddesses were transferred to Mary? 14. Why is Mary so fervently worshipped worldwide?